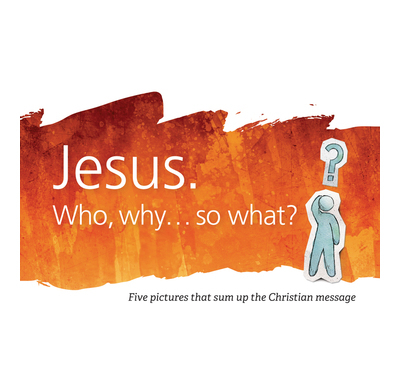 A compelling booklet explaining the gospel in five pictures, focusing on who Jesus is, why he came, and what it means. A compelling, straightforward booklet which uses five dynamic pictures to explain the gospel—who Jesus is, why he came, and what that means for each one of us. Perfect for churches to give away at guest events, and Christians to give to interested friends—and to memorise and draw as a framework for explaining the gospel simply and faithfully. Picture One: Who is Jesus? Picture Five: So what does it mean for us? I like and have used this tract. It works well when we're conducting the Christianity Explored survey in our community. I love that it ties in with the video & CE website. However, there are other good tracts out there which are a fraction of the cost. Good, concise and very readable. Contents just what we wanted for our outreach event. Upon opening the booklet I expected full colour detailed images which drew me into the Gospel story. The character on the front is as detailed as you are going to get - the pictures are simply characterising ideas, emotions and responses. I used them for an Easter Sunday message and then gave out the booklets to visitors. The text is simple and the gospel is clear. It is a valuable resource which I will use again.